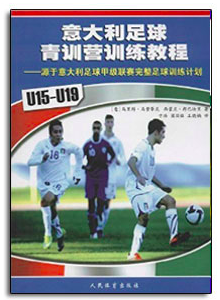 This book contains 12 complete soccer training sessions detailing over 80 practices and progressions as used in the academies of the Italian Serie ‘A’. Each session focuses on technical or tactical elements of training and are structured “from simple practices to more complex game situations”. The sessions outline a complete program which provides a high level of training.